Rainbow School is a growing extension of the South-Broadland Presbyterian Church. 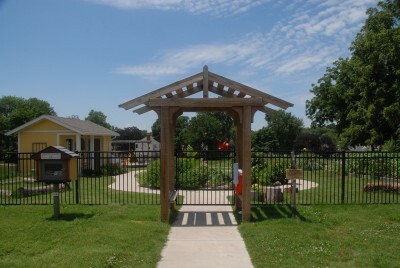 Many gifted people worked together to create a space that reflects the school community and where children may connect with nature each day. For three years, the PTA’s annual fundraising auction proceeds benefited the Outdoor Classroom. This provided an ongoing platform through the year to promote the space and the continuing work. Family and church volunteers are a huge part of the success of the outdoor classroom. 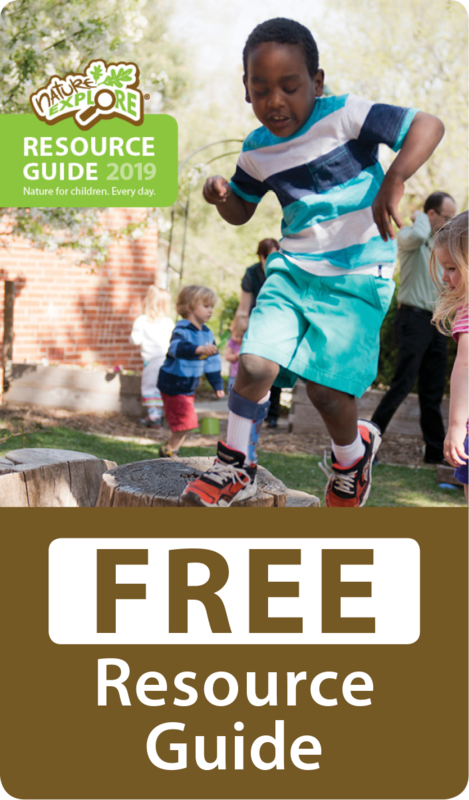 The Nature Explore Families’ Club meets monthly in the space and additional school and community events are hosted in the space when possible. The Seasonal newsletter, “The OC”, describes activities happening in the outdoor classroom and gives notice when scheduled workdays are held to provide ongoing maintenance. Every class at Rainbow School comes to the Nature Explore Classroom daily where all components of learning are enhanced. Whether it is science, reading, dramatic play, digging, building, measuring, active movement or fine motor activities, learning is happening in nature. Minimizing clutter and overcrowding of elements is one of the school’s overall approaches. Using hardscaping, structures, fencing, space and signage to clearly delineate the different areas, a natural, pleasing flow has transformed this space. A bike path circles and bifurcates the Butterfly and Sensory gardens, then swings around the sand pit, dividing it from the digging and messy materials areas, then terminates at the edge of the labyrinth. Students are free to explore and use all the areas creatively. Both sun and shade gardens allow the use of a variety of plants, from small shrubs and trees to flowering plants, herbs, vegetables and fruits. These contribute to a wide range of textures, colors and fragrances. Vibrant blooming plants and interesting foliage in the butterfly and sensory gardens greet the visitor at the entrance, providing an explosion of color. Seasoned hard woods were chosen for structures and natural elements. Wood from healthy trees was found to work better for long term use. There are some challenges associated with vandalism, so well-built items are used that are either unbreakable or which can be secured. When selecting equipment to purchase, items were bought that are designed for outdoor classrooms or other outdoor use from companies specifically producing for these environments so as to avoid problems. The peaceful, flowing paths and delineated areas all contribute to the natural, whole-child development of the infants, toddlers and preschool age children that attend Rainbow School.